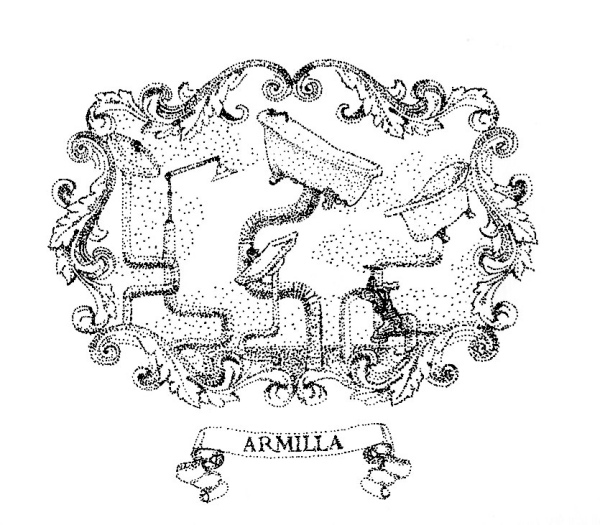 "Whether Armilla is like this because it is unfinished or because it has been demolished, whether the cause is some enchantment or only a whim, I do not know. The fact remains that it has no walls, no ceilings, no floors: it has nothing that makes it seem a city except the water pipes that rise vertically where the houses should be and spread out horizontally where the floors should be: a forest of pipes that end in taps, shouwers, spouts, overflows. Against the sky a lavabo's white stands out, or a bathtub, or some other porcelain, like late fruit still hanging from the boughs. You would think that the plumbers had finished their job and gone away before the bricklayers arrived; or else their hydraulic systems, indestructable, had survived a catastrophe, an earthquake, or the corrosion of termites. Abandoned before or after it was inhabited, Armilla cannot be called deserted. At any hour, raising your eyes among the pipes, you are likely to glimpse a young woman, or many young women, slender, not tall of stature, luxuriating in the bathtubs or arching their backs under the showers suspended in the void, washing or drying or perfuming themselves, or combing their long hair at a mirror. In the sun, the threads of water fanning from the showers glisten, the jets of the taps, the spurts, the splases, the sponges' suds. I have come to this explaination: the streams of water channeled in the pipes of Armilla have remained in th posession of nymphs and naiads. Accustomed to traveling along underground veins, they found it easy to enter the new aquatic realm, to burst from multiple fountains, to find new mirrors, new games, new ways of enjoying the water. Their invasion may have driven out the human beings, or Armilla may have been built by humans as a votive offering to win the favor of the nymphs, offended at the misuse of the waters. In any case, now they seem content, these maidens: in the morning you hear them singing." "After a seven day's march through woodland, the traveler directed toward Baucis cannot see the city and yet he has arrived. The slender stilts that rise from the ground at a great distance from one another and are lost above the clouds support the city. You climb them with ladders. On the ground the inhabitants rarely show themselves: having already everything they need up there, they prefer not to come down. Nothing of the city touches the earth except those long flamingo legs on which it rests and, when the days are sunny, a pierced, angular shadow that falls on the foliage. 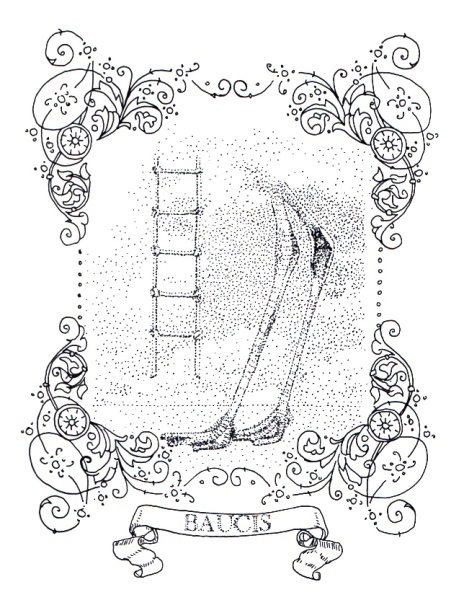 There are three hypotheses about the inhabitants of Baucis: that they hate the earth; that they respect it so much they avoid all contact; that they love it as it was before they existed and with spyglasses and telescopes aimed downward they never tire of examining it, leaf by leaf, stone by stone, ant by ant, contemplating with fascination their own absence." 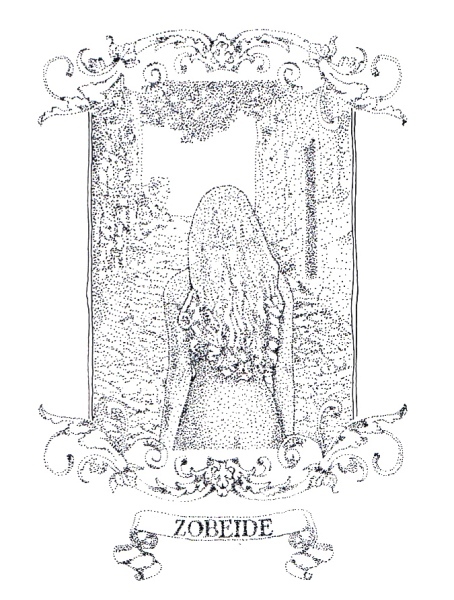 "From there, after six days and seven nights, you arrive at Zobeide, the white city, well exposed to the moon, with streets wound about themselves as in a skein. They tell this tale of its foundation: men of various nations had an identical dream. They saw a woman running at night through an unknown city; she was seen from behind, with long hair, and she was naked. They dreamed of pursuing her. As they twisted and turned, each of them lost her. After the dream, they set out in search of that city; they never found it, but they found one another; they decided to build a city like the one in the dream. 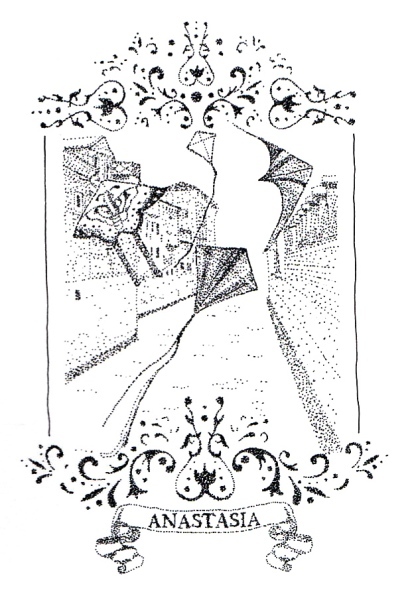 In laying out the streets, each followed the course of his pursuit; at the spot where they had lost the fugitive's trail, they arranged spaces and walls differently from the dream, so she would be unable to escape again. The first to arrive could not understand what drew these people to Zobeide, this ugly city, this trap." 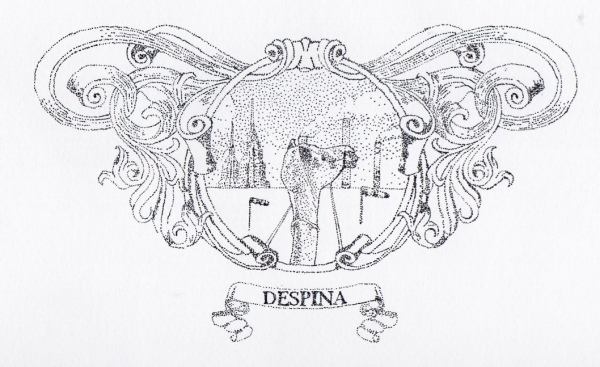 “Despina can be reached in two ways: by ship or by camel. The city displays one face to the traveler arriving overland and a different one to him who arrives by sea. Each city receives its form from the desert it opposes; and so the camel driver and the sailor see Despina, a border city between two deserts." "At the end of three days, moving southward, you come upon Anastasia, a city with concentric canals watering it and kites flying over it. I should now list the wares that can profitably be bought here: agate, onyx, chrysoprase, and other varieties of chalcedony; I should praise the flesh of the golden pheasant cooked here over fires of seasoned chery wood and sprinkled with much sweet marjoram; and tell of the women I have seen bathing in the pool of a garden and who sometimes - it is said - invite the stranger to disrobe with them and chase them in the water. But with all this, I would not be telling you the city's true essence; for while the description of Anastasia awakens desires one at a time only to force you to stifle them, when you are in the heart of Anastasia one morning your desires waken all at once and surround you. The city appears to you as a whole where no desire is lost and of which you are a part, and since it enjoys everything you do not enjoy, you can do nothing but inhabit this desire and be content. Such is the power, sometimes called malignant, sometimes benign, that Anastasia, the treacherous city, possesses; if for eight hours a day you work as a cutter of agate, onyx, chrysoprase, your labor which gives form to desire takes from desire its form, and you believe you are enjoying Anastasia wholly when you are only its slave." 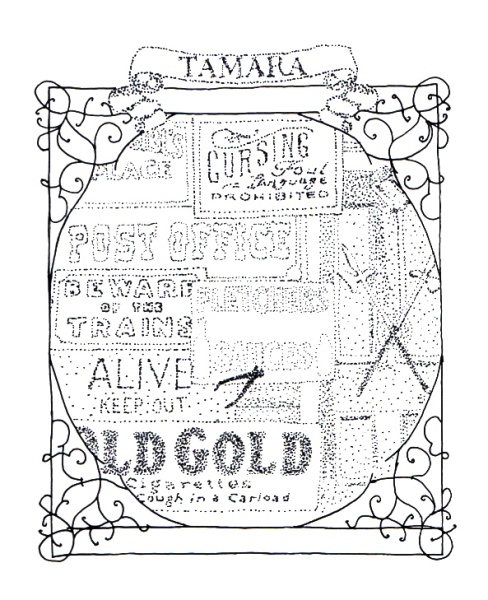 "Finally the journey leads to the city of Tamara. You penetrate it along streets thick with signboards jutting from the walls. The eye does not see things but images of things that mean other things: pincers point out the tooth-drawer's house; a tankard, the tavern; halberds, the barracks; scales, the grocer's. Statues and shields depict lions, dolphins, towers, stars: a sign that something -- who knows what? -- has as its sign a lion or a dolphin or a tower or a star. Other signals warn of what is forbidden in a given place (to enter the alley with wagons, to urinate behind the kiosk, to fish with your pole from the bridge) and what is allowed (watering zebras, playing bowls, burning relatives' corpses). From the doors of the temples the gods' statues are seen, each portrayed with his attributes -- the cornucopia, the hourglass, the medusa -- so that the worshiper can recognize them and address his prayers correctly. If a building has no signboard or figure, its very form and the position it occupies in the city's order suffice to indicate its function: the palace, the prison, the mint, the Pythagorean school, the brothel. The wares, too, which the vendors display on their stalls are valuable not in themselves but as signs of other things: the embroidered headband stands for elegance; the gilded palanquin, power; the volumes of Averroes, learning; the ankle bracelet, voluptuousness. Your gaze scans the streets as if they were written pages: the city says everything you must think, makes you repeat her discourse, and while you believe you are visiting Tamara you are only recording the names with which she defines herself and all her parts."